ReviewLoft is a carefully researched and managed collection of the best products and services for people who want to take the stress out of deciding what to buy. We only recommend products we would buy ourselves and our opinions are formed after heavy research, information gathering and filtering from a variety of trusted sources. We only say we’ve had hands on experience when we have and test as many products ourselves as possible. We realise our top pick might not always suit everyone. So, we also evaluate several other products that represent a balance between price, effectiveness and value for money. Meaning, there is a selection to suit virtually every budget and requirement in every guide we create. Our team consists of a small group who have degree level education in science-based industries or many years copy-writing experience – this means we know how to conduct the RIGHT kind of research and find the key information for the guides we create. Where possible we also prepare additional supplementary guides around the products we evaluate on this site. For example; if you’re looking for a cat feeder then we have created a complimentary guide on feeding your cat. Or, if you’re looking for a rabbit hutch, we’ve created another guide about caring for your rabbit. We will continue to make more of these guides as we move forward. Accuracy, in-depth information and providing quality information is at the heart of what we do. Each editor either has first-hand experience with their selected topics or they thoroughly research and gather quality information from many reliable resources to create the work you see and read on this site. In addition, where possible, we get first hand information from industry experts. We also never accept paid incentives to push a particular product or service – so you can be sure the information you read here is unbiased, fair and impartial. We also filter out hype and hyperbole for any products we evaluate and exclude information we feel is heavily biased or misleading in anyway. All to make sure the information you read is honest and accurate and NOT just what the manufacturers want you to see. 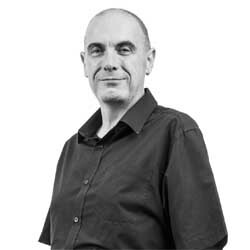 With over 20 years marketing and copywriting experience Craig is the seasoned pro of the group. A professional copywriter and a member of the Alliance of Commercial Writers Craig has created powerful content for businesses of all sizes across the country so he knows that credibility and accuracy is key in everything we produce. For many years Craig owned a web development company and helps to maintain the site ensuring we’re available to support our readers 24/7. Jo is the people person of the team and is our on-call ‘Pet-spert’ having cared for Rabbits and Cats for a long time. 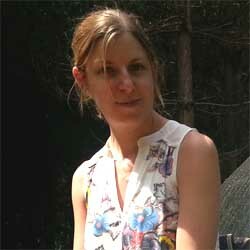 Jo also holds a Honours Degree in Psychology and a Masters in Occupational Therapy (OT). With over 10 years experience as an OT Jo helps us understand and evaluate the many claims by manufacturers regarding ‘ease or use’, ‘reduced strain’ or ‘therapeutic properties’ to weed out the aggrandised information or basic false claims. Attention to detail is her mantra and we rely on Jo to make sure we haven’t missed any core information from our guides. Adam is the tech and gadget guru of the team and holds a 1st Class Honours Degree in Computer Science. He is the guy who likes to uncover the finer details and inner workings of all the products we evaluate and helps dig up the detail in the guides we create. Methodology and creating a consistent experience for our visitors is a key requirement for Adam and he developed many of the visual ‘breaks’ you’ll see on our pages which help our visitors get to the core summaries quickly or read more in-depth information if they want to. 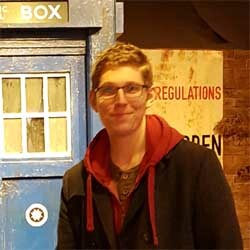 He is also a HUGE geek and, yes, is standing next to a Tardis in his photo. We are also fortunate to have worked with (and continue to work with whenever we can) industry experts with whom we consult to gather advice, information and feedback.